Who says hard work and dedication doesn’t pay off? A lesson proven by FDG Entertainment, Castle Pixel, and their game Blossom Tales: The Sleeping King. According to FDG’s recent update, Blossom Tales on the Nintendo Switch has now outsold its entire lifetime of Steam sales twenty-fold. What an accomplishment! Readers may remember Blossom Tales from our “Inspired by Zelda” Week back in May. It’s a fun, colorful game inspired by A Link to the Past, transporting players into the shoes of Lily, a Knight set on defeating an evil wizard causing havoc upon her kingdom. Wait, did you miss it? Then be sure to check out this editorial and interview with lead developer Rob Maher. 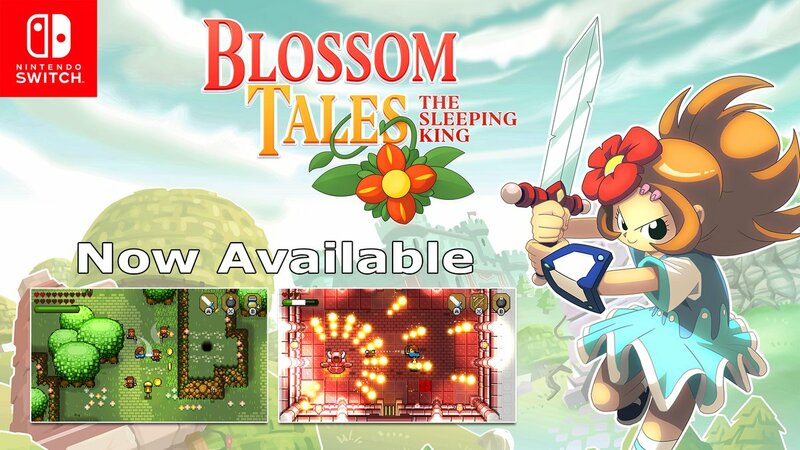 If you’re a fan of the Zelda series, then Blossom Tales will surely be a game for you! Have you played Blossom Tales on the Switch, or do you plan on picking up a copy? Let us know your thoughts in the comments below!